Canefire No. 14 Premium Australian Rum is the fruit of over two decades, and two generations, of distillation by the Kimberley Rum Company. 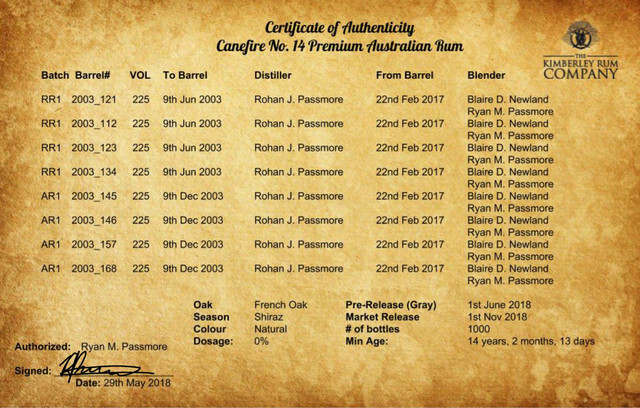 Blended from 8 french oak 225 L barrels aged no less than 14 years and each with a unique taste, smell and colour to form one bold Australian Rum.